Twenty two years ago we had a vision: To bring a truly unique exterior wood finish to the market that was not only more durable than traditional wood stains but also one that was environmentally safe. Prior to 1996, we were a group of custom builders and wood treating professionals with some very high-end projects to build and maintain. Some of our customers were chemically sensitive, and most of the wood sided homes were being built in extreme weather locations inherent to the great Pacific Northwest such as ski resort areas, ocean front properties, and the high desert. Unable to find a stain product that met our needs, we decided out of necessity to develop one. We enlisted the services of some of the best independent wood finish formulators in North America and told them to spare no expense for the sake of quality. We combined our knowledge of wood, building, and design, with their coating chemistry knowledge and together we created a truly unique wood stain protectant. 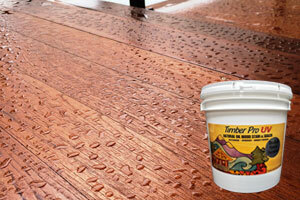 Timber Pro Coatings first opened its doors in 1996 in the great Pacific Northwest. Two independently owned manufacturing facilities were set up in Portland, Oregon and Richmond BC, Canada. In these first few years we envisioned ourselves as a “wood stain microbrewery,” handcrafting a specialty wood finish that was quite unique for those times, when environmentally friendly coatings were few and far between. The first generation of Timber Pro UV Natural Wood Finish was born. Our efforts resulted in a natural plant oil resin-based water-reducible formula that did not rely on petroleum oil or its derivatives. After extensive weather-testing our environmentally friendly formula was proven to be exceptionally durable. Faced with the daunting task of bringing a finish like no other to the market, we set out to establish our niche. In the early years, we were up against tremendous odds. Major brand wood stains with huge budgets eclipsed our meager resources, and the public was still wary of “eco-friendly” technology. We realized we were pioneers and that our best approach was by means of education. We began by educating end users about wood weathering technology and environmental stewardship. We donated product to Habitat for Humanity and built relationships in our communities. We aligned ourselves with craftsmen in the log home industry who recognized the value of finish that was both safe and durable, and who were willing to give us a chance. Before too long, homeowners began requesting their builders use our product. Slowly and steadily we gained respect among log home companies, cedar home builders, and the general public at large. By 2000, after our product had been on projects for five years and its durability was a proven fact, we began to experience rapid growth. Since our inception, we have grown to become one of the most well-respected coating manufacturers for the wood siding market, with a full line of wood care products. Many of our early supporters – the true log home craftsmen – have since become some of the largest log home companies in North America, and remain faithful clients. Internationally known architects are specifying Timber Pro UV products for landmark projects such as high-end resorts and universities. We have continued to refine our products over the years, and far ahead of our closest competitors who are just now bringing their “green” finishes to the log and wood siding world. We remain a company with a powerful vision — to protect wood, respect the environment, and promote the health of contractors and homeowners alike by manufacturing the highest quality wood finishes possible, Timber Pro Coatings.